Lang Tengah Island is another beautiful island off the coast of Malaysia. Malaysia has been a visitor’s paradise for many decades now, and this island is one of the reasons why tourists are wanting to come to this beautiful tropical oasis. This is a beautiful island that has been untouched from the majority of the last hundred years, but is now open to tourism. The island is located just a short distance off the coast of Malaysia, about 24 miles, and features an unbelievably crystal-clear water, with white beaches and a virtually untouched tropical jungle. 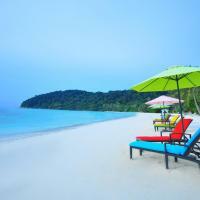 It is located about halfway between two of the larger islands within Malaysia, Pulau Redang and Pulau Perhentian. This is fantastic because it means that virtually all of the mainland ferries come to shore along Lang Tengah Island so getting around in the region is quite easy. An outdoor pool resides in the middle of Summer Bay Lang Tengah Island Resort, which offers snorkelling equipment for rent and diving activities. Its air-conditioned rooms come with a private balcony…. Most people come to Lang Tengah Island by taking a flight into the mainland Malaysia itself, and then either writing a ferryboat or a speedboat out to the island. As mentioned before there were several ferries that bring passengers to the island each day, so getting there is not a big deal, but can take a little while on one of these boats. This is why many opt to ride one of the faster speedboats to get out to their resort. Once a person reaches the island they are taken to the small fishing village of Tanjung Merang where they are shuttled to wherever their accommodations are at. 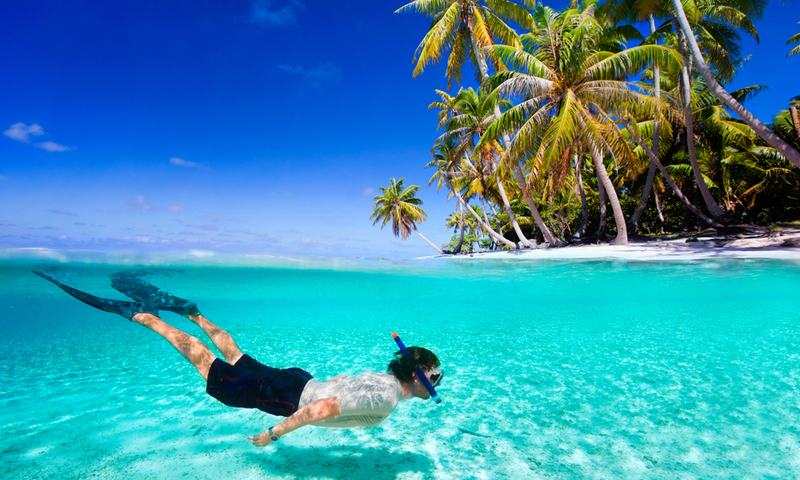 In the water surrounding the island, you will find great activities to get involved with. The waters are crystal clear, allowing you to see unbelievable sites below the depths of the waters, either by diving, snorkeling, or scuba diving. You can also just enjoy a day of swimming and splashing around the water if you so desire. Many just want to sit on the beautiful, clean beaches of Lang Tengah Island, and you will find no better place to enjoy a peaceful rest in the sun. The wildlife on and around the island is really something to behold. You will see an occasional shark or Ray, see have to be on guard. One of the biggest attractions of the island region is the large number of exotic and rare turtles you will find. It truly is a fantastic site. You also find some very exotic birds, lizards, frogs, and insects that you can get great pictures of while you travel through the jungle area.